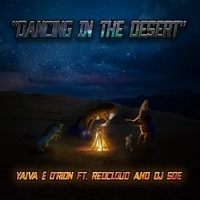 Dancing In The Desert is a new collaboration between 1491 and NWE artists' RedCloud, Yaiva and Orion. One of the freshest and fun track on the summer. Get your dance shoes on, out your feet out and get on the dance floor and get DOOOOOOWN.